Apparently I can't get enough. This is the third denim jacket in my closet, the umpteenth denim shirt and this white slim denim rounds out my full spectrum of denim wash jeans. I mean, you need a wash for every occasion, right?? I wear denim jackets like other men wear suits. And what is Spring without white denim?? Call me addicted. I just like options. 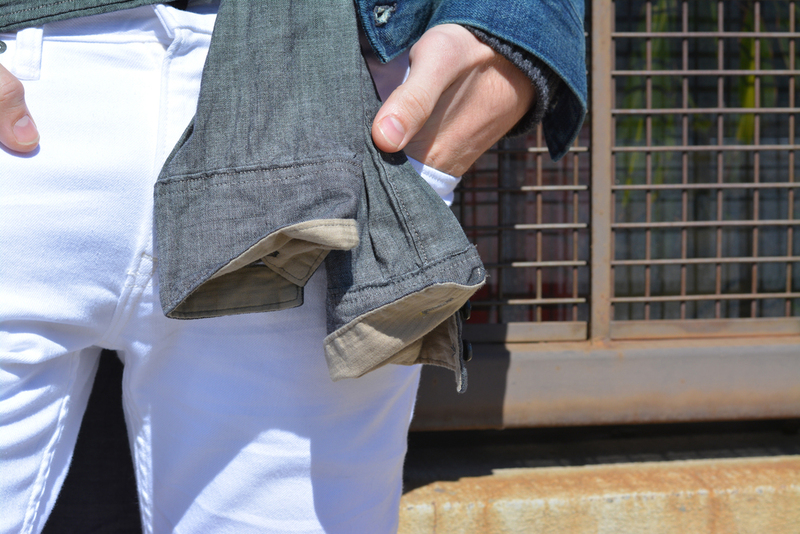 Styling tip: you can get away with wearing three different pieces of denim if they are all different colors. A light wash jacket with dark wash jeans is dicey, but pair it with white or wheat jeans and you're golden. What do you think of the look? Denim overload or denim done right? ?